How do I Read or Write Reviews? 1. Go to a listing page that has the models you are considering. Most people start shopping by RV type. 2. Find and Click on your favorite model. 3. Scroll down to the "Reviews" section. 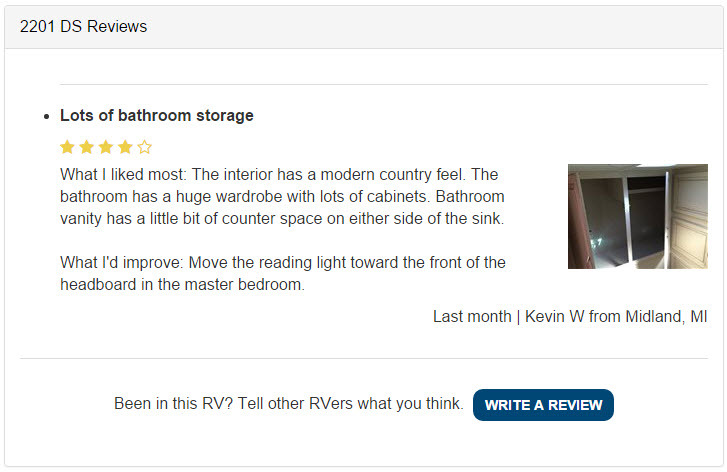 Don't see a review on your favorite RV? Add your own review and let others know your thoughts.